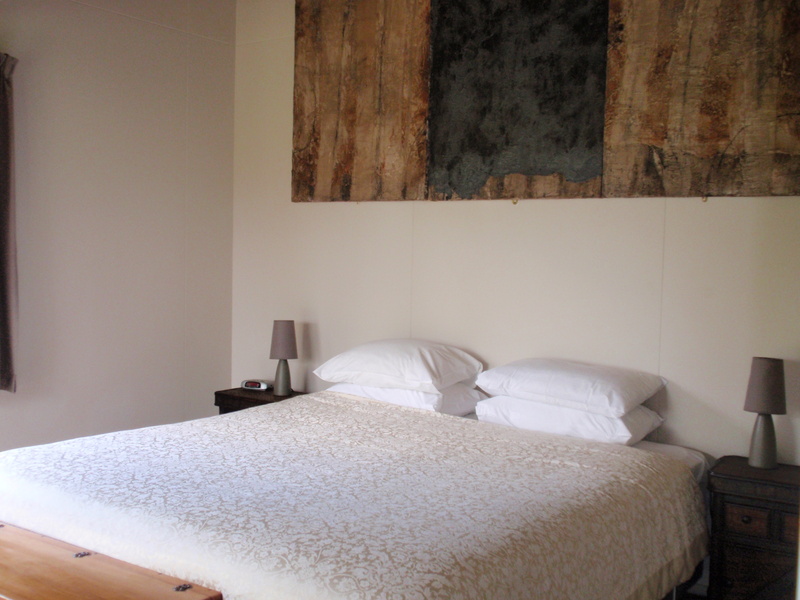 We can generally offer a much better rate from April through to December. Please enquire. Artist holidays in nontoxic printmaking are offered by appointment by Mark Graver at his studio in Kerikeri New Zealand. Mark travels both Nationally and Internationally to give workshops. He was commissioned by A&C Black (UK) to write the book Nontoxic Printmaking Jan 2011 and has artworks in numerous museums, galleries and private collections around the world. Mark also teaches nontoxic printmaking techniques part time at Northland Polytechnic and has travelled internationally to teach nontoxic printmaking workshops in Northern Ireland, UK, and Australia. 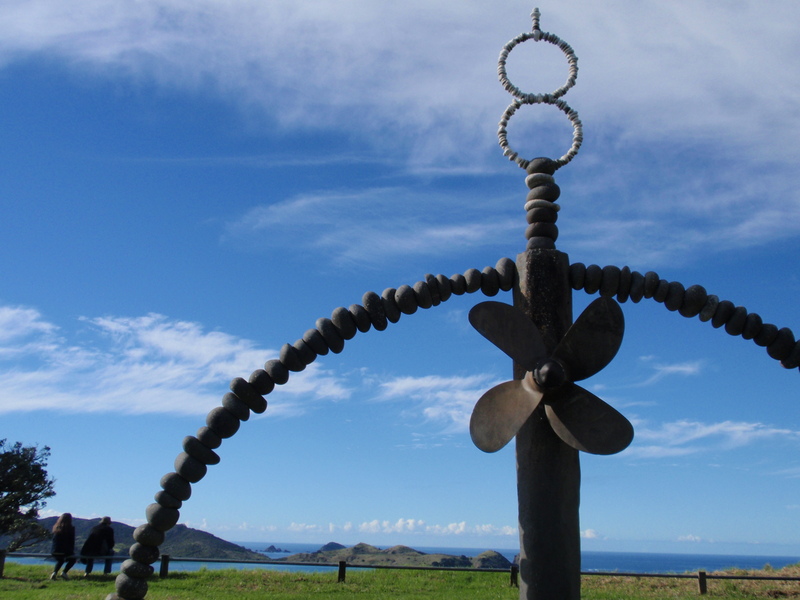 Mark founded and runs Wharepuke Print Studio in the Bay of Islands New Zealand. 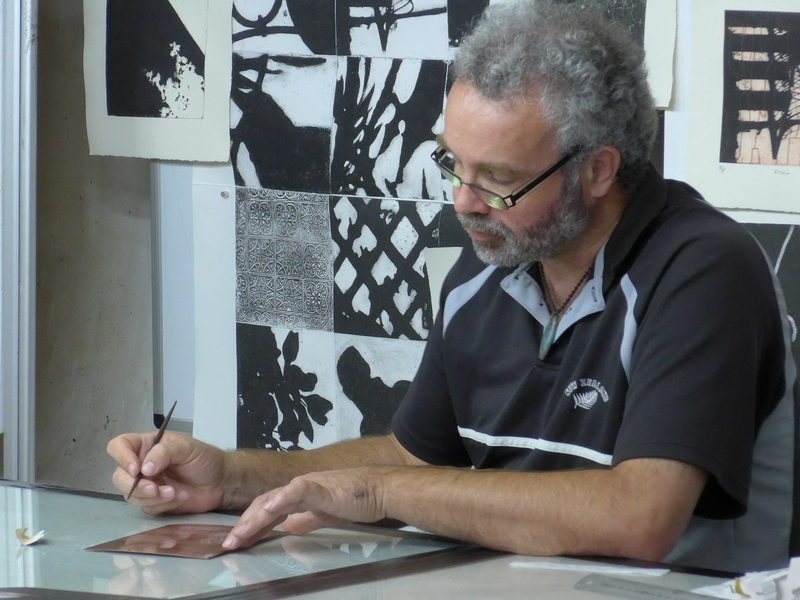 Mark Graver offers a variety of non toxic printmaking courses. The artists studio and gallery is open to the public and there is a display area of original fine art. Marks art is also on show in our self contained accommodation. 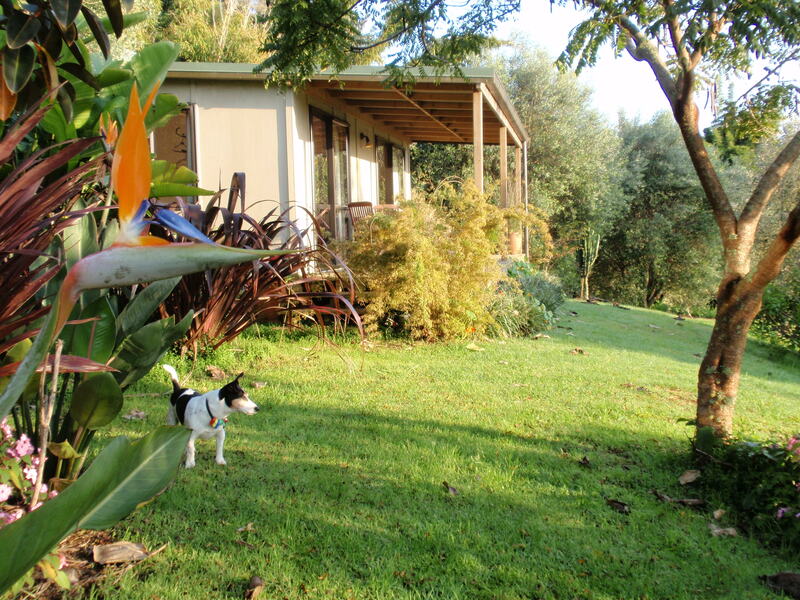 Artist holiday packages are offered with accommodation on site in the subtropical gardens. Non Toxic Printmaking uses acrylic resists and ferric chloride (a metal salt) to etch copper or copper sulphate to etch aluminium or zincs. Prints are made with water based inks making cleaning up easy. Dangerous acids and toxic fumes are no longer an issue. The health and safety of the Printmaker and the environment can be assured. Classes are kept small, ideally up to 6 people, so as to offer an inclusive learning environment. You can get your own group together or fit in with an open group. 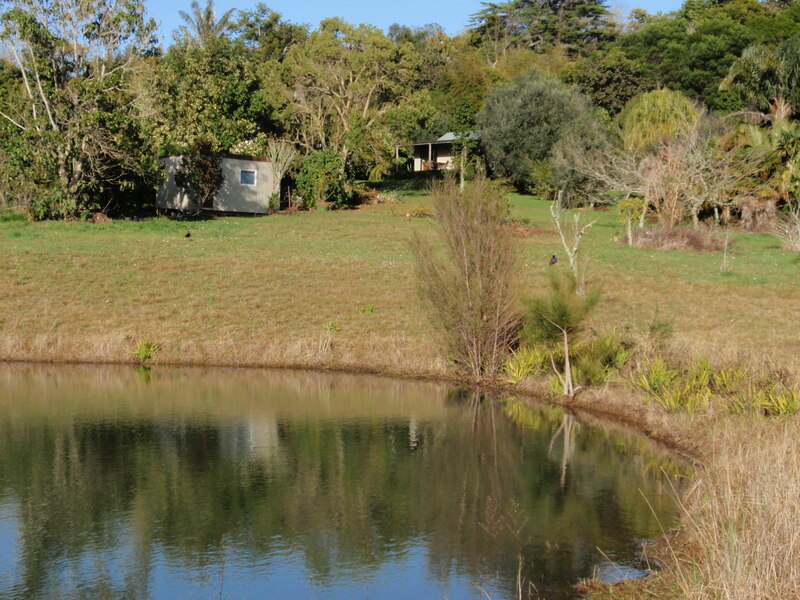 You can, with consultation, have tailor made courses designed to fit around a holiday or short break in the Bay of Islands staying in our subtropical cottages. Building on techniques learned from the beginners course and introducing a variety of further processes, such as acrylic aquatint, chine-colle and colour printing that can be used in combination. Visiting artists come to run special workshops, produce prints, give talks and exhibit. Art at Wharepuke is a purpose built gallery onsite that focuses on International printmaking and exceptional work in other media. Have a look at the artists opportunities page for our open submission shows. 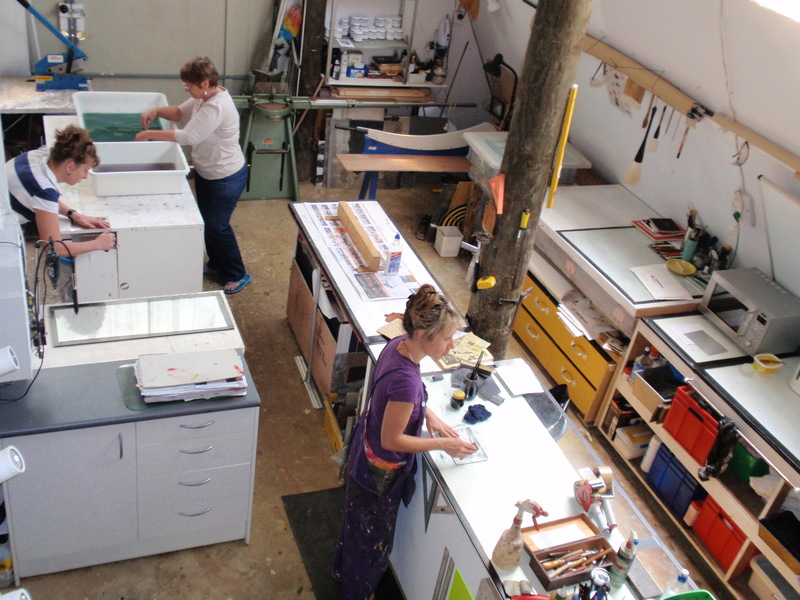 The Wharepuke Print Studio acknowledges the support of the Birgit Skiold Memorial Trust.